The land of Nyir was harsh and unforgiving to all but seemed it was even harsher yet to one particular young woman. Nuri has suffered painful tragedies her entire life. Everyone she ever loved seemed to meet a terrible end. Even her adopted family of thieves was no longer in her life. She was alone and filled with anger. This is the tale of Nuri's Quest: The Angel's Fang,, written by Phoenix Raven. Experience the magical land of Nyir, filled with goblins, pixies, and other strange, magical creatures. 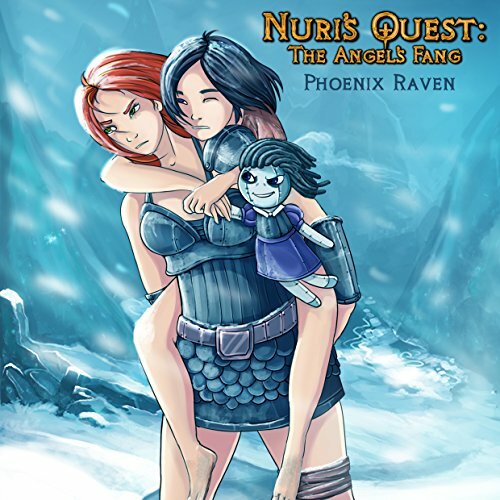 What did you love best about Nuri's Quest: The Angel's Fang? The detail and a few unexpected twists ...I don't want to spoil the story so I won't go into detail. What other book might you compare Nuri's Quest: The Angel's Fang to and why? None I've read really compare though I'm looking forward to her next book !. What about Michelle Michaels’s performance did you like? Her voice flowed nicely as did the dialog of this novel and it reads nicely and really is hard to put down as a reader it's even more exciting having it read . I Believe this a very unique set of characters and comical at times as well as moving .... all within a medieval setting .